Systems engineering is a vital function that provides design, visibility and traceability across the product development lifecycle, resulting in powerful engineering artifacts that help guide detailed product design. 20th IBM Global C-suite Study: "Winning in a data-rich world." On behalf of IBM, I would like to invite you to participate in our annual Global C-suite Study. A one-hour, face-to-face interview can be scheduled at your convenience, between March 1 and April 10, 2019. We're inside the heart of an #IBMCloud data center. 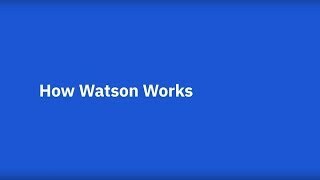 Watch this first ever footage of our AI-ready and secure-to-the-core IBM Cloud technology.